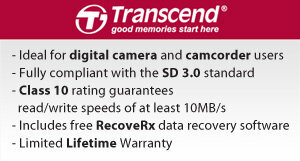 Capture without limitation by pairing your digital camera and camcorder with Transcend's SDHC Class 10 Cards. Designed with the photography enthusiasts and videographers in mind, Transcend's SDHC Class 10 Cards can deliver high-speed performance at an affordable price. 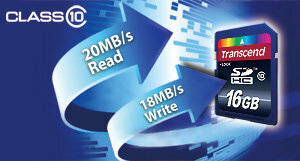 Fully Class 10 compliant, Transcend's Ultimate SDHC Class 10 Cards use the latest flash technology to help maximize camera's response time, delivering an ultra-fast read/write transfer rates of up to 20/18 MB/s. 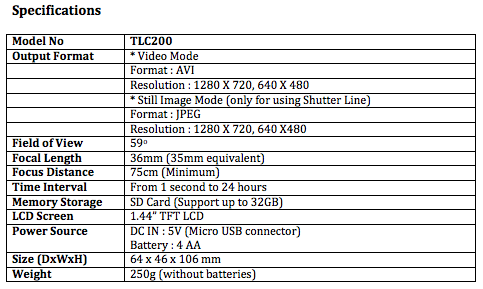 This high speed performance is suitable for high-capacity photographs and high-resolution videos. Excellent product and excellent service. Phone order was easy and I received the cameras in 3 days. Great job on processing this order! Ordered on Friday, received on Monday. Made me look like a hero to my bosses. Sometimes you have to look no further than your own front door for an amazing and beautiful sight, but due to our natural perception of time many of these things are invisible to the human eye. My TLC200 reveals the magic around me and makes me feel better about my world and myself. Sound hard to belive? Take a look at these amazing images of beauty and splendour happening right in front of me - only made visible by time lapse photograpy. Not that many years ago it would have cost thousands of dollars of expensive equipment to perform the task that my TLC-200 does with only one button. I use this every day and play it back on my HD TV. Wow! What effects!! Ordered the cameras on Thursday and received them on Friday..IN GERMANY!!!! The service and support could not have been better: rapid, competent and friendly. We were dependant on a rapid and competent support as we urgently needed the cameras and we were served perfectly! The quality of the cameras was already known, hence our purchase!! a big Thank you! You made our day! This is a great little camera for time lapse video. It would be nice if it stored the individual frames so you could pick certain ones for printing. The pivoting lens and the LCD screen are mandatory otherwise you are just guessing. It would be nice to have a setting to keep the LCD screen on longer for positioning the camera and lens. Also, the instruction manual is a little too simple. The sequence of turning on and pressing the OK/start button should be explained more clearly. And I believe it says the top green light flashes every time it takes a photo. Mine only flashes when you hit the final time to start and you really don't know if you are taking a video until the next morning. But overall, it is a good product but slightly high priced by the time you get the wide angle lens and the waterproof case for outdoor use. I can't wait to try doing star trails the next time we have a new moon with no clouds. Also, if you have young kids with babysitters, what a great way to see what is going on while you are out. I grow giant pumpkins for competition so I ordered this to do a time lapse video of a pumpkin growing. They grow over 1000 pounds and take 90-100 days to reach maturity. The service from Smartec store has been great. I called twice to ask questions and both times the phone was answered promptly. My order came in 5 days! That is super fast from Cali to Toronto. I have been using the camera to do time lapse of my seedings and it is awesome!!!! The LCD screen takes away all the guess work! Can't wait till my pumpkins start to grow so I can film one!!!! Wish I could afford 6 cameras. 1 for each pumpkin!!!!! Yes I’m very happy with the camera and the wide angle lens. I have and will recommend these products to my friends. First of all, the shipping to Canada was very fast 5 days! This tiny little camera is unbelievable. Easy to setup and use. The result is super. Will definitely get one more. This time I will get the deluxe bundle special. Thanks for this super camera! I have two TLC200's taking time lapse photos for different projects. I put them outside and cover them with duck tape. They are working fine after about 4 months. I've been using the TLC200 for a month now and Iam very satisfy with its performance. Easy to use and good quality. I highly recommend the cam for timelapse fans out there. By far the TLC-200 is the best long-term time-lapse camera to date. Use the Energizer AA Lithium 8X batteries for long run times and a virgin (not used in another product) Sandisk 32 gig card. Set the time and date via the LCD menu. Works in very low light (full moon). Low noise. Very easy to operate. I set it to record one frame per second and playback at 10fps. Gives me an entire week WOW. See my video review at www.investigativetraining.org. The TLC200 is my first timelapse camera. It is straight-forward to set up and use. I like the LCD preview screen which is perfect for setting up the subject in the field of view. I am purchasing another for a project a work. Great camera!! Good value for the money. Quickest shipping ever from Smartec!! Super easy setup! Setup and use couldn't be easier. 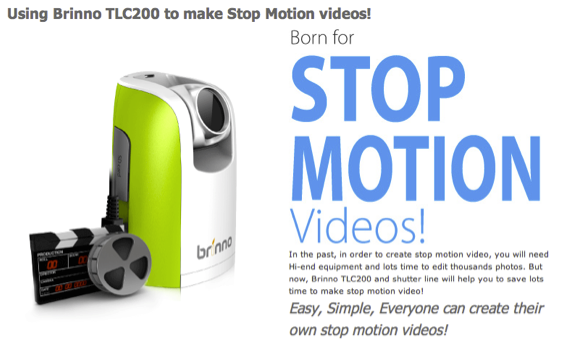 The Brinno TLC200 is a great little camera that takes all the work out of time lapse photography. 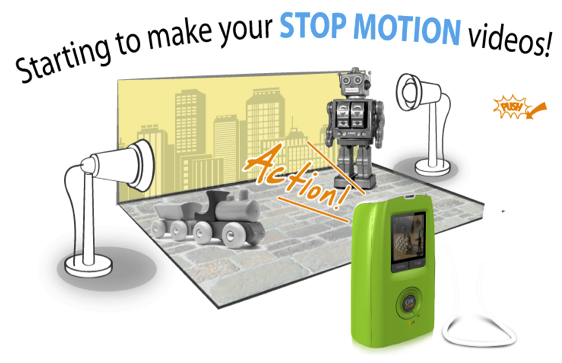 This automated camera is simple to use, with little to no interaction needed after it is setup. The small footprint allows the camera to be placed almost anywhere and does not require the use of tripod if used on a flat surface. My husband has used this TLC200 Cam several times to capture the activity of the deer who visit our front yard in the early evening. It is fun to watch as the deer go back and forth and disappear and reappear through the evening. It is easy to use and set up on a tri-pod and then let it do it's thing. Downloading the videos on the computer is easy. 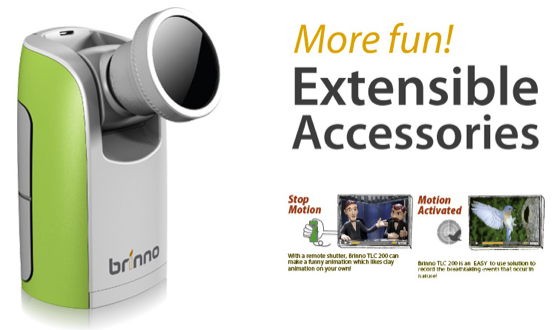 This camera is so easy to use and has many different recording options. This will allow you to record just about any "action" that you desire. You just set your options, start recording, and when done, the video is ready for however you want to use it. The video looks great. I love the new TLC200 time lapse cam. I received it a few weeks ago and have tried it out on a number of different projects with great results. It is very compact and lightweight and the view finder on the back shows you just what you are recording. The tilt on the lens is great so you don't need an adaptor on your tripod either. And the customer service is great- if you have a question just call and you will get an immediate answer. I am very pleased with this product. Great camera, fast service. both very easy to use with good results. 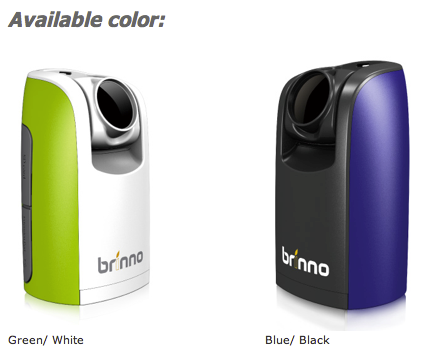 The Brinno Camera is EXCELLENT! The size, simplicity and photographic QUALITY are exceptional! Thanks for an awesome product. I love the camera! I've used it for several different fun little projects. My sort of complaint is that this thing is soooo cool I wish I could figure out how to use some of its more advanced features, but to this point I haven't figured it out. There is a 1/8" jack and a mini-USB port, but ZERO documentation included on how to use either of those. Maybe someone can point me in the direction of documentation that explains the more advanced capabilities...? Thank you for the great customer service! I am very happy with this new product. 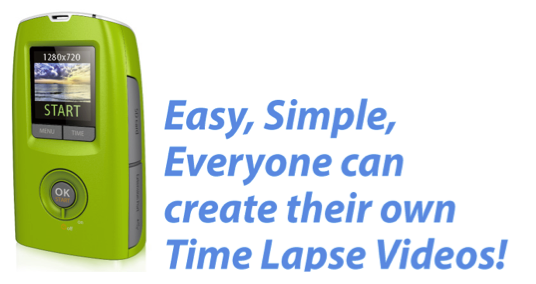 I have the older time lapse camera and they are all great! Thank you! We purchased a Brinno TLC200 timelapse camera to film construction activity on site for our kitchen remodels, bathroom renovations and basement finishes. This little camera does an incredible job and is extremely easy to use. We just set it up on a tripod and let it do it's job. The quality of the video is very good and works great for Aspen Builders! 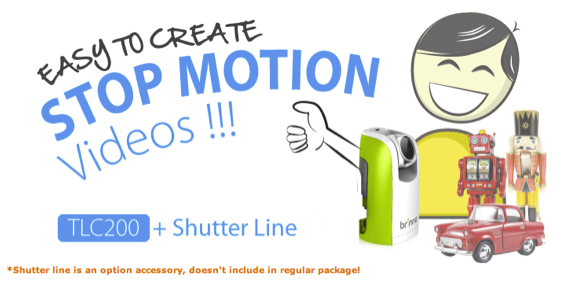 This camera and the previous model exceed expectations, such a fun gadget, great idea, easy to use. I use to take time lapse with my DSLR, not now. Thsi camera is great Love it. Can't recommend it enough. The TLC200 is a fantastic little camera. It does everything exactly as described - is very well built, sleek and friendly and instantly intuitive to operate. I had some questions before purchasing and was very impressed with how quickly I was able to speak with someone extremely knowledgeable about the product range who helped me select the PERFECT one for my needs. The service was beyond all expectations and really makes me want to come back for more. Thank you Smartec for making this a fun and confident and thoroughly satisfying experience - not to mention creating such a terrific product. I've always loved time lapse photography and now this invisible world is mine! I just used the TLC-200 for the first time on my trip to Florida. Excellent little camera. I have the TLC-100 before this, and the new features of the screen on back, and the tilt of the lens makes the TLC-200 the one to have. Easy to set up and use. Very cool camera. Next will try it in low light test. This little camera is well worth the money. Got the TLC200 for Christmas and it is everything I expected. Seems to be well made and very easy to set up and operate. Tested it out filming clouds changes over a 6 hour period. Worked great. Thinking about getting the TCL 100 to do some outdoor work!! I love this camera! The camera is compact and well designed. The lens tilts, the bottom is wide and gives a solid base to sit the camera on any flat surface for great stable shots. It has a viewfinder to help line up shots. The menu is easy to operate. And the quality is excellent. You can shoot in 16:9 format. My high def videos on vimeo look sharp. I owned a TLC100 and I like it very much! But when I saw this new TLC200 which has viewfinder, I decided to give it a try! Didn't let me down.... I absolutely love it! Easy to operate and view or modify. Now I can use my both of my Mac and PC for TLC200 with no problems. 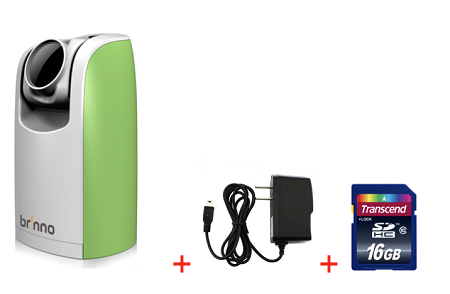 Will use TLC100 for outdoor and TLC200 for indoor. Highly recommend! I love the Timelapse TLC200 Cam! I just watched a full day of recording in 3 min. When something catches my eye I can go frame by frame. I have an iMac and the SD Card fit in the allotted slot and I was viewing the movie right away. So Mac users with an SD Card Slot go for it! I'm able to zoom in with frame grab on my computer and enlarge a nice clear image if need be. Many thanks to the sales rep for updates on delivery and always being there for me. This is a wonderful product. Although it looks like a toy, it is very hefty, well built, and very easy to use. There are many uses for this product....just use your imagination ! I've actually bought two, one for myself and one for my son. Highly recommended ! A very minor recommendation would be to include the frame rate and timing interval in the time stamp. What a fun, easy to use product! I have been having so much fun with the Time Lapse Camera... We have tested it out a couple of times with great results, it is really easy to use. We plan on using it for our Conference in March to Time Lapse the construction of our exhibit hall. Thanks again!